Real or imaginary, what do you think? 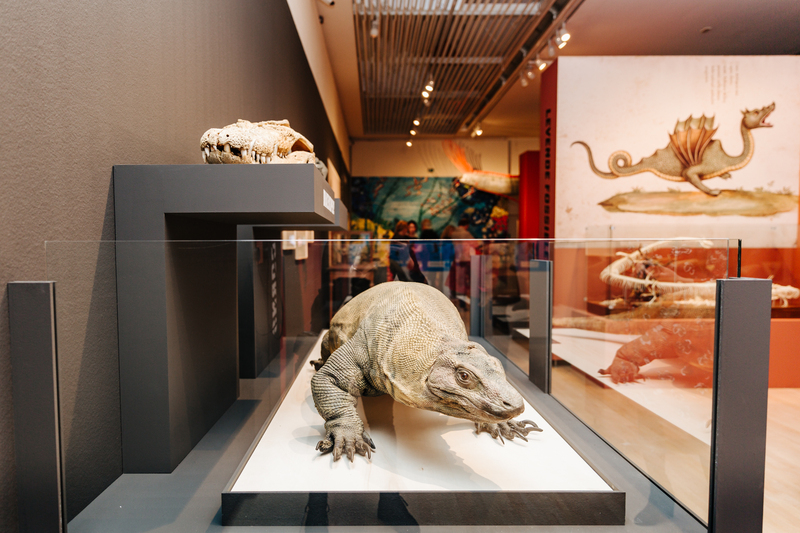 In the fascinating family exhibition Monster Animals you will see real and mythical animals side by side. The difference is not always as clear as you might think. Feast your eyes on dragons, giant octopuses, sea serpents, and snowmen. People have always been captivated by fantastic and monstrous creatures. Spectacular, improbable characteristics have often been ascribed to them. But there is no disgrace in being fooled; even the best of observers can make mistakes. For instance, the explorer Marco Polo (1254-1325) was sure that he had encountered a unicorn. In his travel account he wrote in disappointment that the noble creature referred to in the Old Testament did not look beautiful at all, and was actually rather an ugly beast. What he saw was probably a rhinoceros. And today there are still people who believe that the Loch Ness monster lurks in the depths of the water. Conversely, few would have thought that the giant octopus that appears in sailors’ stories is a real sea creature.